From today’s NYT: Bob Dylan typing in a room above the Cafe Espresso in Woodstock NY. PHOTO: Douglas Gilbert. Typewriters figured heavily in Dylan’s work; songs had to be typed out for copyright filings, Bob’s notes showed he often refined even “final” typed copies. What machine is BD using here, I wonder? Matriculated! 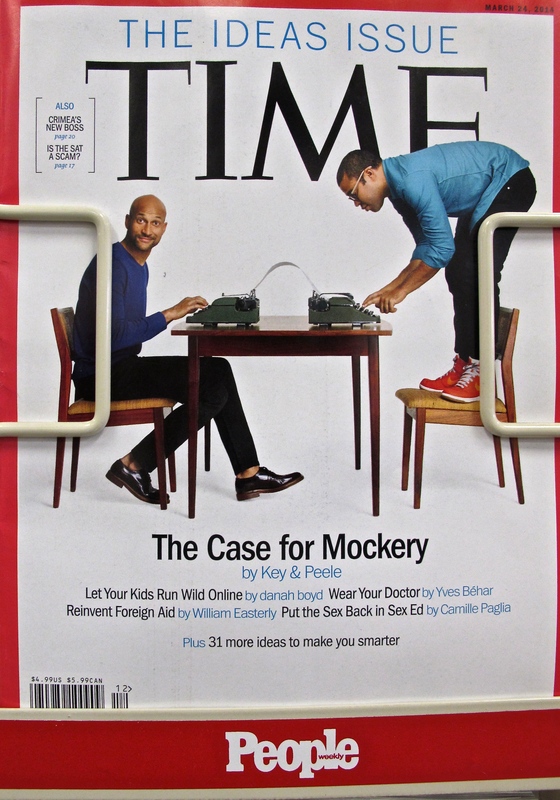 Or curated, at any rate…. The Institute of Contemporary Art ( icaphila.org )at the University of Pennsylvania wanted visitors to their 50th Anniversary Exhibition (now through Aug. 17.) to be able to type their thoughts. Left an Olympia SM-9, a massive Olympia SG-1, and an IBM Selectric II to choose from… They went with the Selectric–still period correct, certainly a design classic worthy of the ICA and impossible to jam. Will monitor the scene and see what gets typed…. 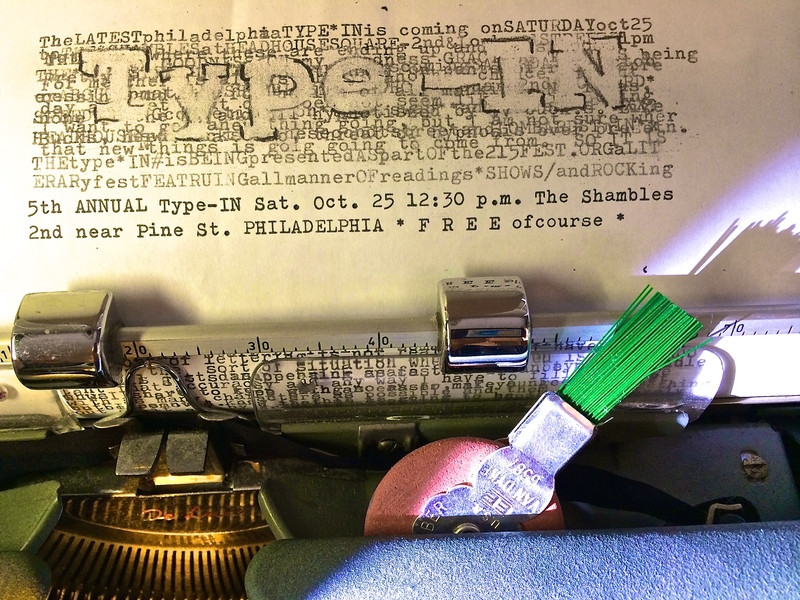 TWO TYPE-INs coming to Philadelphia: 13 Sept. + 19 Oct.
SO– Here’s the scoop: first one (Friday, 19 Sept.) is a big benefit to help make the 215 Lit Fest happen. 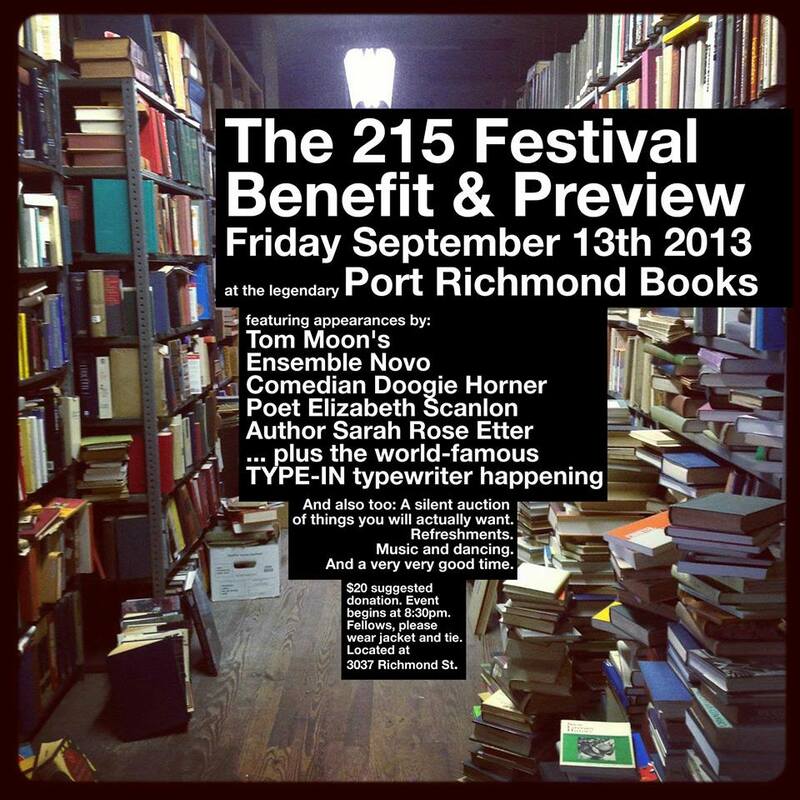 So it costs money (a cool twenty), but you will have a good time in a bookstore like you have never seen.There will be typewriters, including an Olivetti Lettera 32 on auction, and other goodies. Second one (Sat., 19 October) is part and parcel of the 215 Fest, which will bring a great array of literary and musical talent to Philadelphia. It’s outside, free and will feature amplified typewriter haiku… among other things! DETAILS SOON.